Dual authentication is new feature for better security of your server-client connection. It is very usefull if you want to protect your mail server from unauthorised access to your webclient, EAS account or other client without special client pkcs12 certificate, with defined rule whenever you will require the certificate while connecting from all or only external network. According to the fact that pkcs12 certificate generated via openssl can be also password protected, super strong and generated for each user separetely, for email signing and encryption as well, your server and all informations in users accounts can be secured as well as current connection to banking sector. Following scenario is for your own self-signed certificate authority created in openssl on windows. After installing the openssl library(choose copy OpenSSl DLLs to The Windows system directory) run openssl.exe from the install dir and create private key, self sign and import to your server trusted root CA authorities. 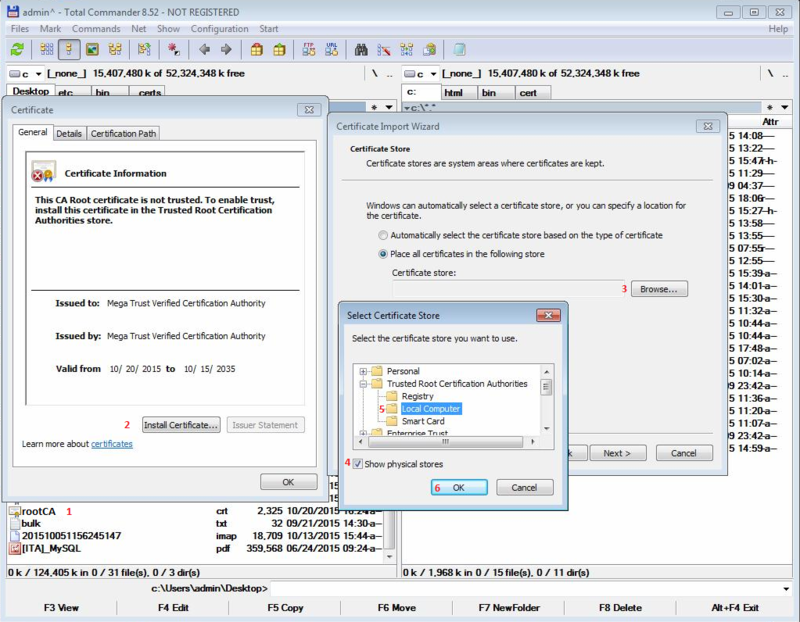 For automatic generation of p12 certificates from csv file for each user separately use the certificator. For better security, tips and tricks generating the certificates search in google, for linux read following article. According to the fact that openssl is linux based, its much easier to create and handle CA there. -generate client certificate, sign it with root CA and convert to pkcs12 form. Once done, this will create an SSL certificate called rootCA.pem, signed by itself, valid for 2048 days, and it will act as your root certificate. choose the rootCA.pem file and confirm, now you have defined CA certificate for your icewarp server. 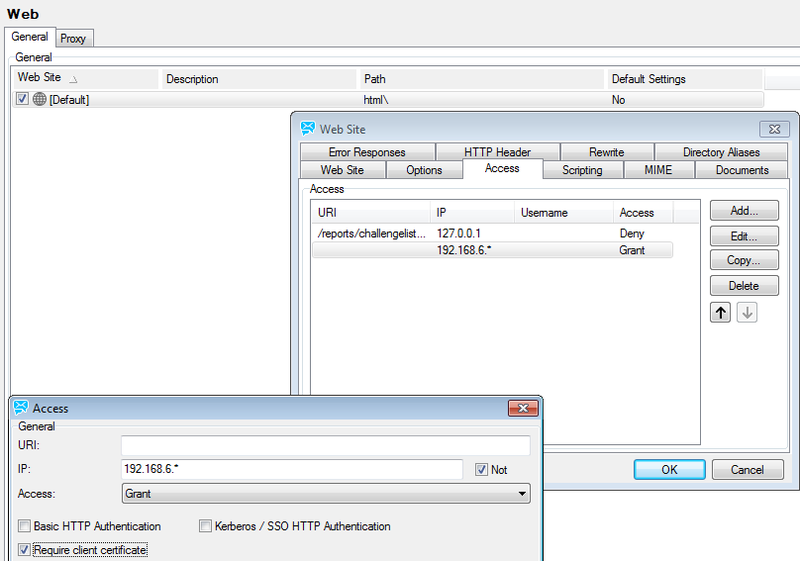 3.Next step is to generate client certificate, sign it with root CA and convert to pkcs12 form. 4.Once the key is created, you’ll generate the certificate signing request. You’ll be asked various questions (Country, State/Province, etc.). Answer them how you see fit. The important question to answer is common-name. 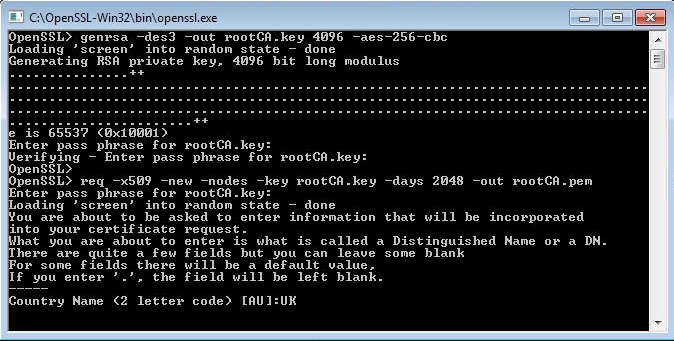 5.Once that’s done, you’ll sign the CSR, which requires the CA root key. openssl> pkcs12 -export -in <Directory-Path>/<Client-Certificate-Filename> -inkey <Directory-Path>/<Client-Key-Filename> -out <Directory-Path>/<Client-PKCS12-Filename> -name "<PKCS12-Name>"
openssl pkcs12 -export -in /shared/exampleCA/client1.crt -inkey /shared/exampleCA/client1.key -out /shared/exampleCA/client1.p12 -name "client1 pkcs12"
7.Now go to icewarp console>web -double click the settings for webclient page>access and create a rule for requesting certificate from client while connecting to webclient. 8.On client machine insert the pkcs12 certificate into users browser -settings/certificates/your certificates import (depends on browser) or import the certificate in system via certificate import wizzard. Please check the link below for dowloading the open ssl.